Suecomma Bonnie custom-made rounded toe heels with a platform for added comfort and black Swarovski crystal embellishment. These red all over satin heels have a black double-leaf detail which is encrusted entirely with black swarovksi crystals. 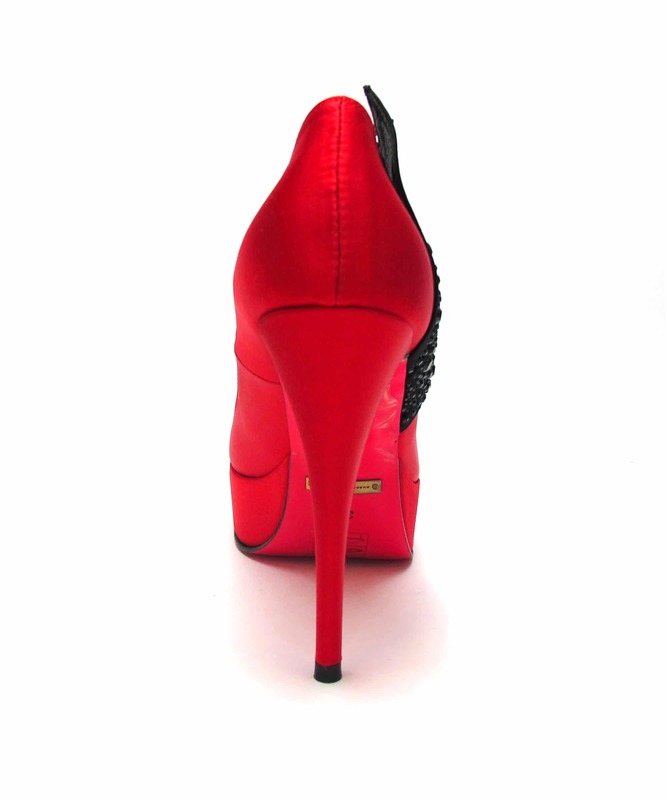 They are entirely red-on-red as they have the Suecomma Bonnie signature red sole which is so on-trend right now and isn’t going out of style anytime soon! With a platform for added comfort, these shoes are comfortable but are the perfect height to keep your legs looking long and luscious. We love the blazing red colour, it’s fierce and strong which reflects your alter ego personality! Remember! You can’t buy happiness but you can buy shoes and that’s more or less the same thing!